Under former Governor Nathan Deal and the Georgia Film, Music & Digital Entertainment Office, a division of the Georgia Department of Economic Development, Columbus was designated as a Camera Ready Community. Camera Ready was established as a way to offer film and television production companies easier, faster and better access to local resources and information. Visit Columbus, GA and the Columbus Film Commission have developed strong partnerships in the area through years of experience. Boasting collaboration among hotels and hospitality partners, restaurants, attractions and facilities, the Columbus Film Commission is your one-stop-shop for successful film production in Columbus, GA.
We serve as the direct liaison with the Georgia Film, Music & Digital Entertainment Office as projects develop. With experienced staff that is acquainted with the city, we can assist with arrangements for crew members while in the area. Let us help provide resources to your production company, so you can focus on filming. The Columbus Film Commission - Your one-stop-shop for resources in the area to include permits, guidelines and infrastructure resources. 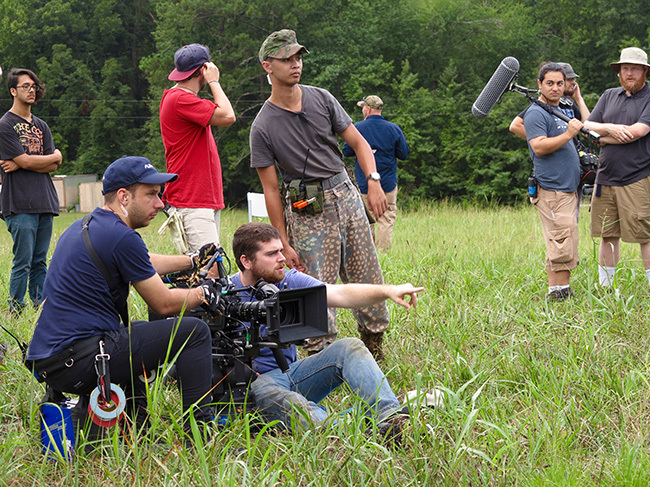 Here are a few resources to help you with the production of your film in Columbus, GA. If you have any questions or additional needs, please call Visit Columbus, GA and let us help! 800.999.1613.